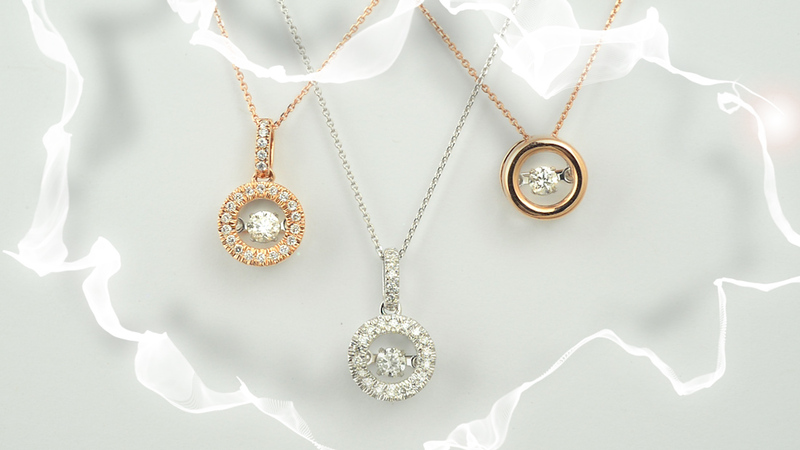 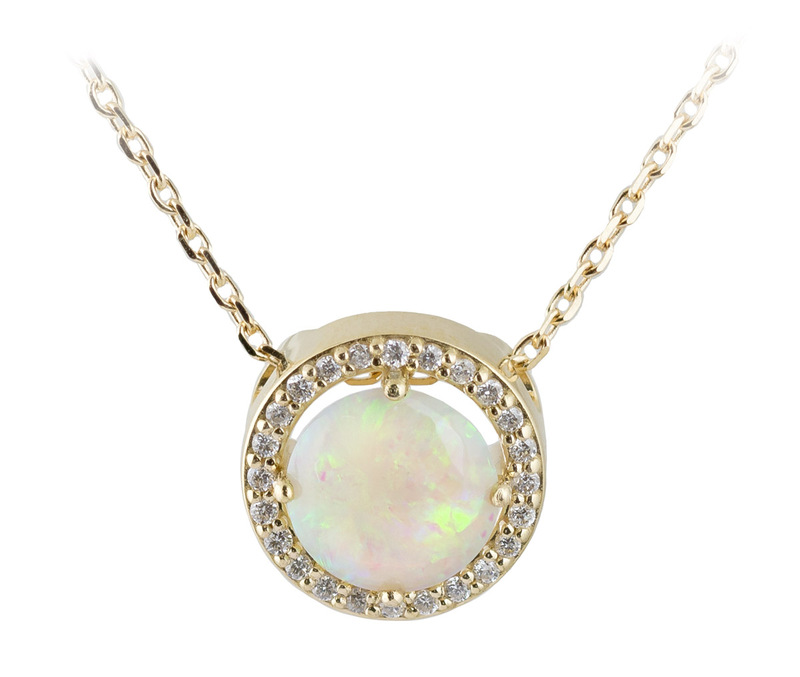 This is a new take on the classic, circle pendant design. 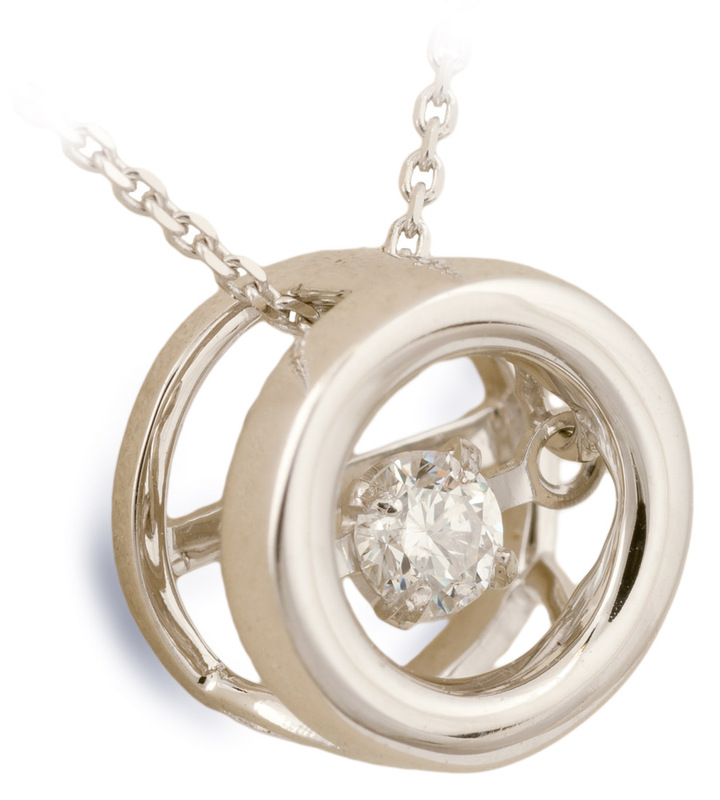 The center diamond is suspended so that is dances and vibrates incredibly quickly at the slightest movement. 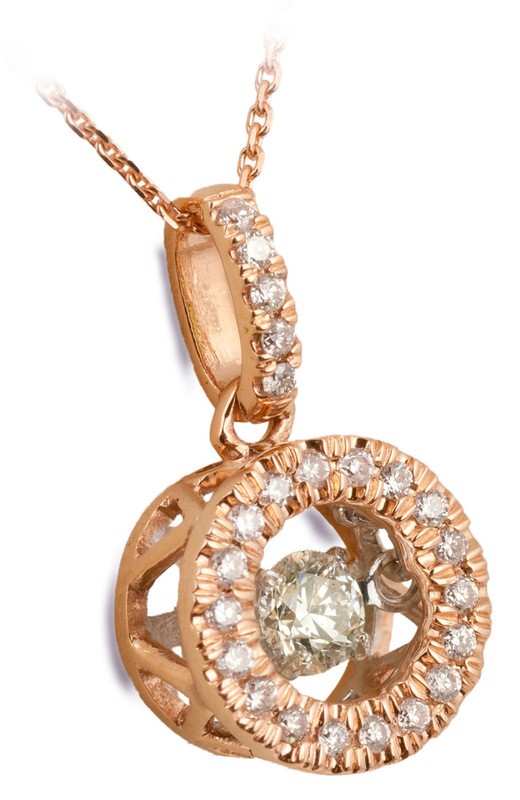 Your heartbeat, walk, and breathing all make the diamond move and set of its dazzling light show. 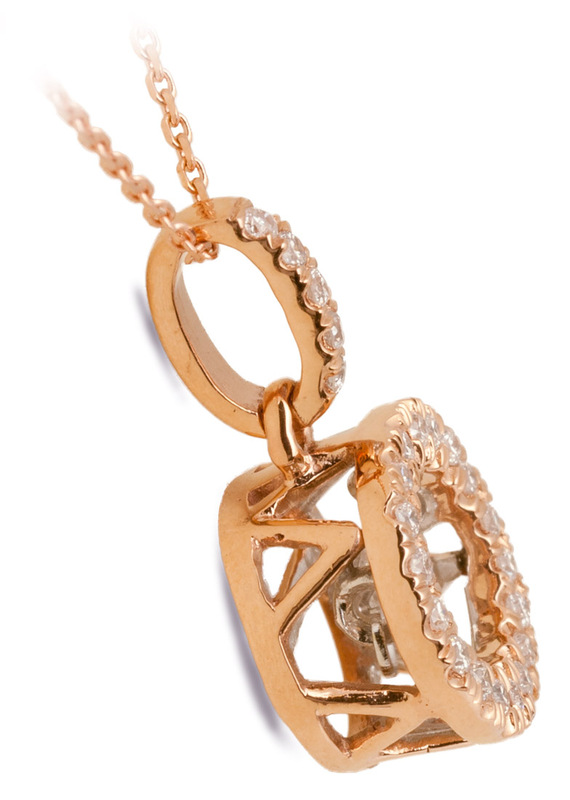 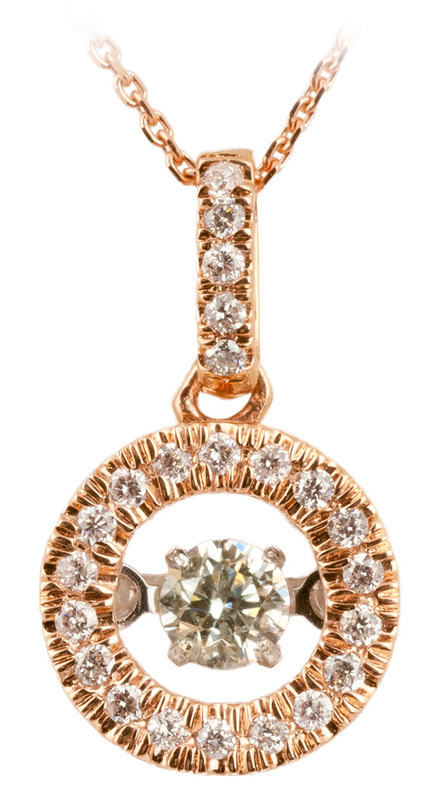 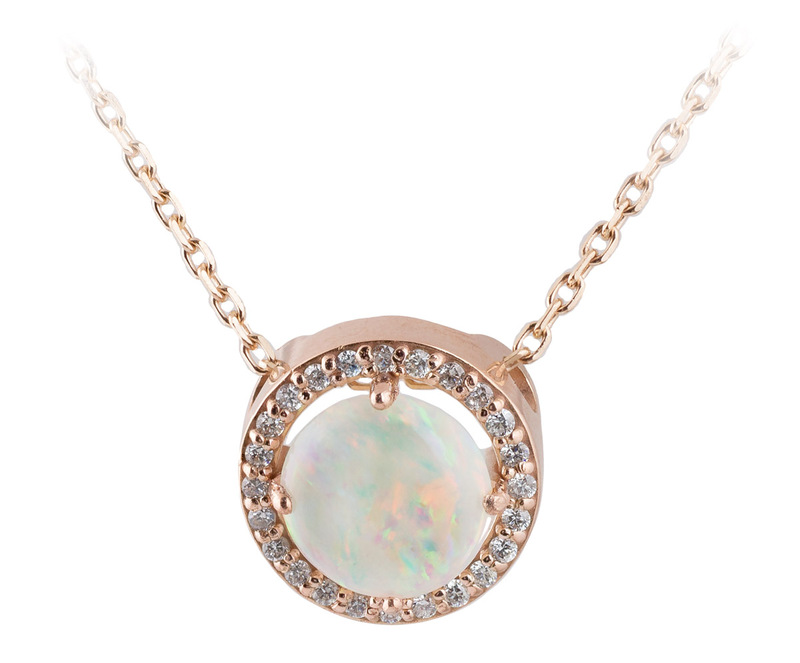 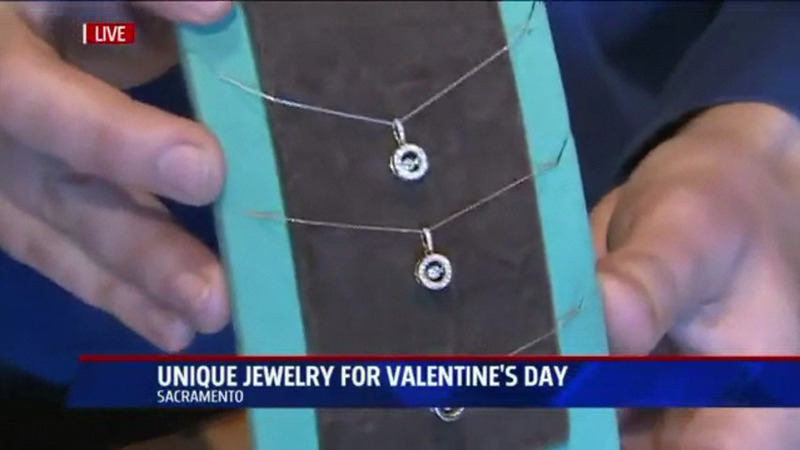 Set in rose gold with a halo of accent diamonds, this piece makes an excellent gift.